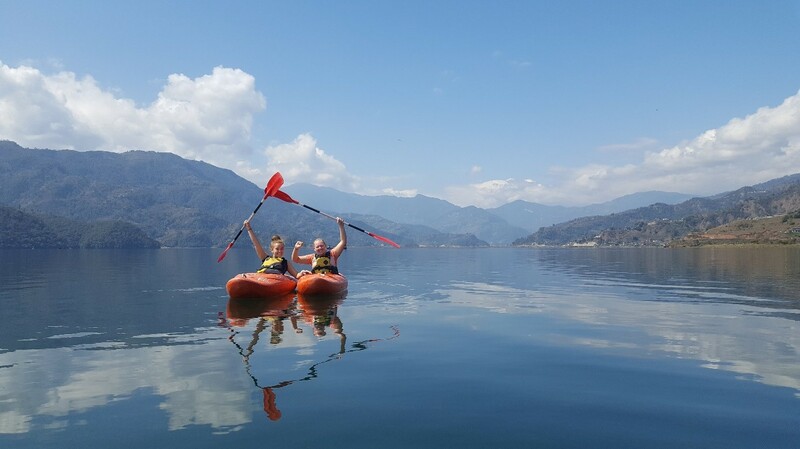 Pokhara is a city full of possibilities for the adventurer, the artist, the sporty traveller and someone who simply wants to have a good time. 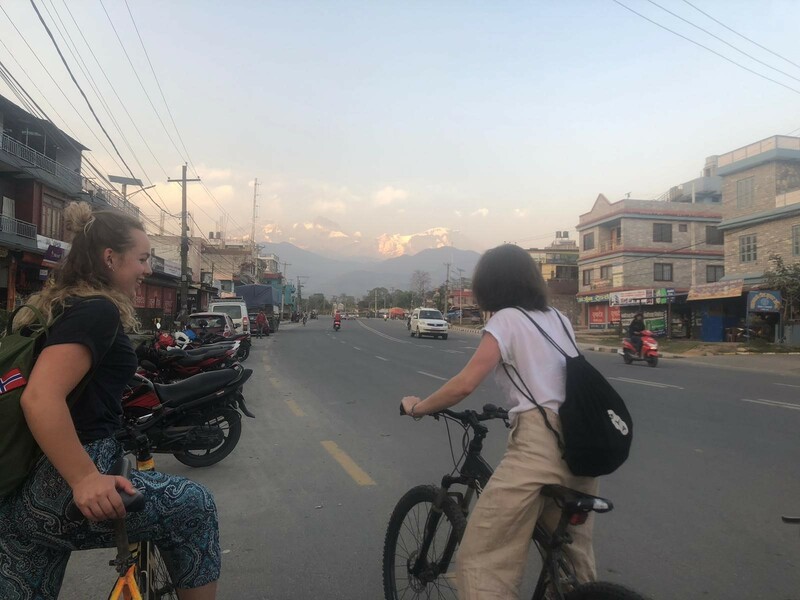 What makes Pokhara so appealing to tourists and us students is that it does not have monuments, museums or other classic tourist attractions in the same way Paris, London, Rome or even Kathmandu have. Pokhara is rather a city that gives you the opportunity to explore and go on adventures by yourself and with friends. 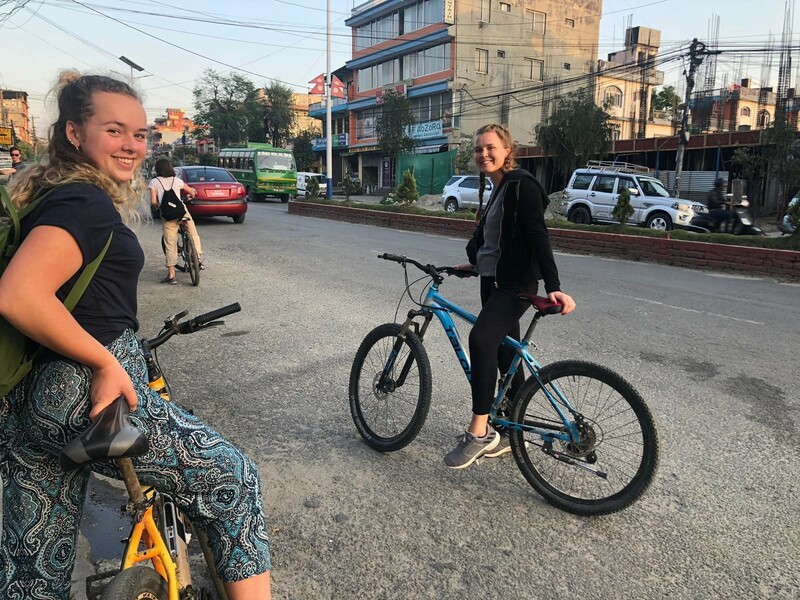 After having spent only five weeks in Nepal, we have already done so many things and seen much of the city. 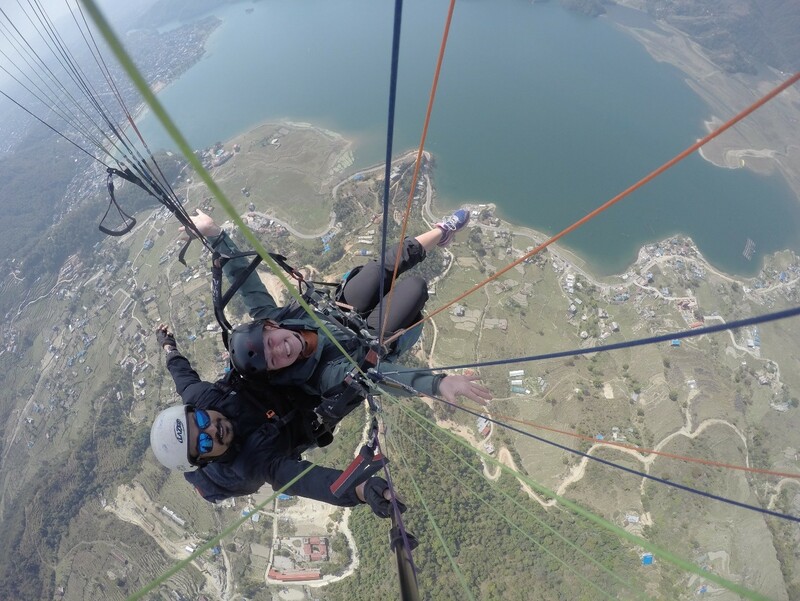 Here is a post with the 6 best things I have done in Pokhara so far! 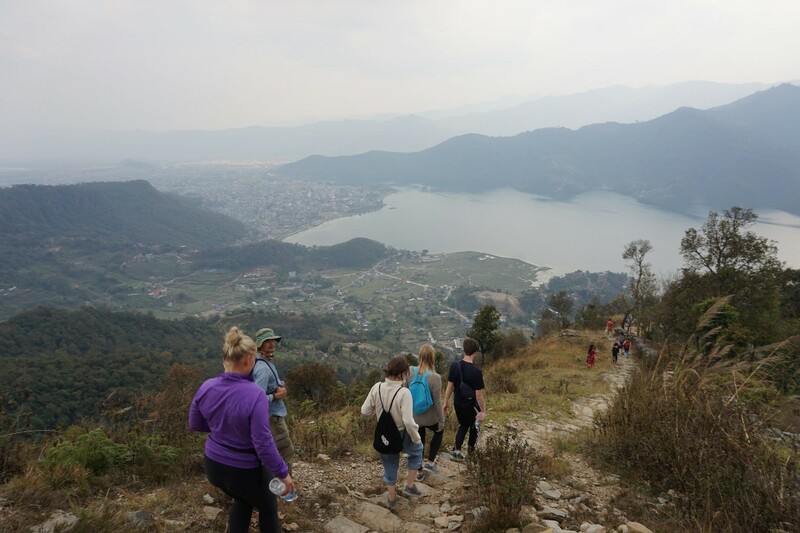 Pokhara lays right next to the beautiful Fewa Lake so what would be a better way to see Pokhara than from the lake itself? 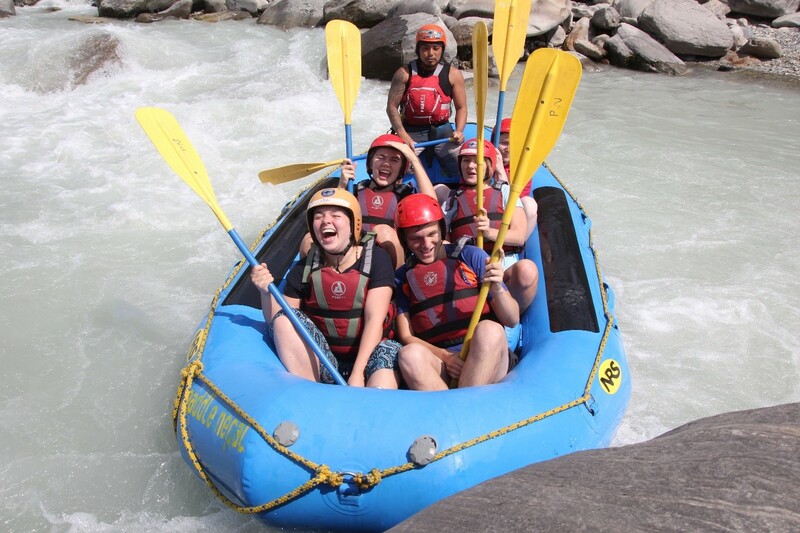 We rented kayaks for 500 rupees (ca. 40 NOK) for 3 hours each, but I am sure it is possible to get it for cheaper if you book in advance or don’t go to the most touristic offices (which we did). Even though it was very relaxing to be on the lake and just look around, they gave us whitewater kayaks which were so to speak impossible to control on the still lake. If you can find more appropriate kayaks, I would recommend using them instead. 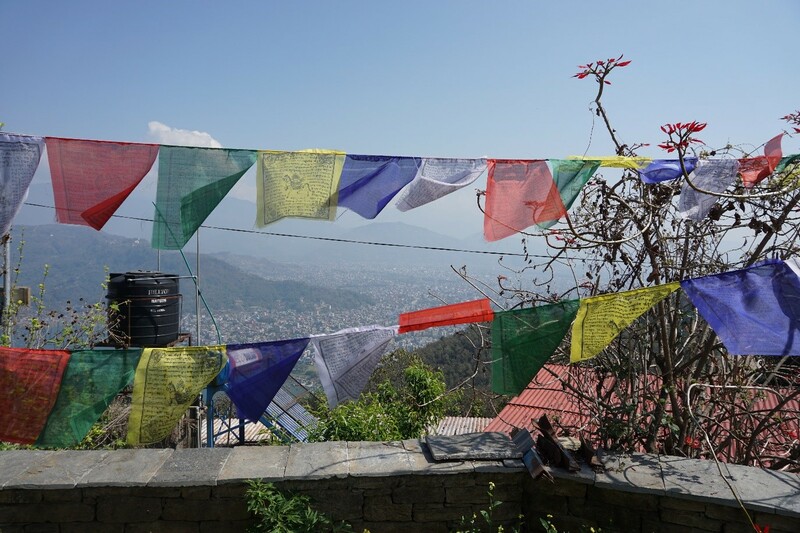 Pokhara is full of cute and cheap cafés that serves all kinds of western and Nepali food. One of my favourite things to do after class during the week is to go to a café with my computer, order a cappuccino and talk with a friend, write or read. 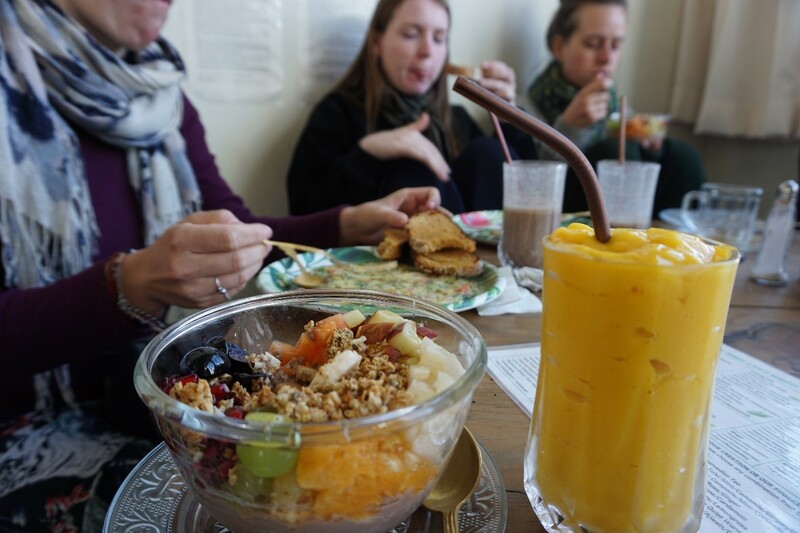 I am constantly looking for new cafés, but so far, my favourite (and most study-friendly) places are the French Creperie, The Juicery Café and Himalayan Java Pokhara (they have the best coffee). One of the things that stroke me when I first came to Pokhara was the sky filled with paragliders all day round. 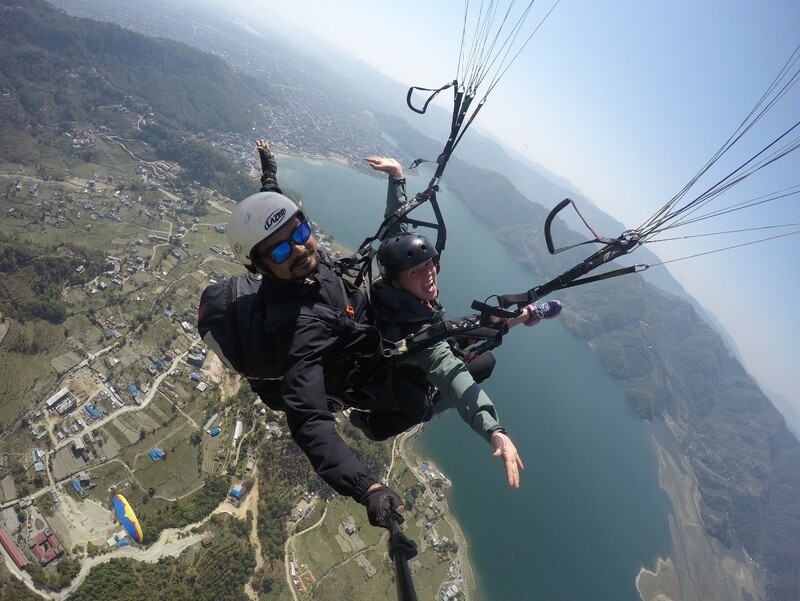 No wonder why paragliding was on our bucket list for Pokhara from day one. We went with Blue Sky Paragliding and payed 8000 rupees (about 600NOK) each for 30 min in the air (but if you get someone local to buy the tickets, it will probably be cheaper). 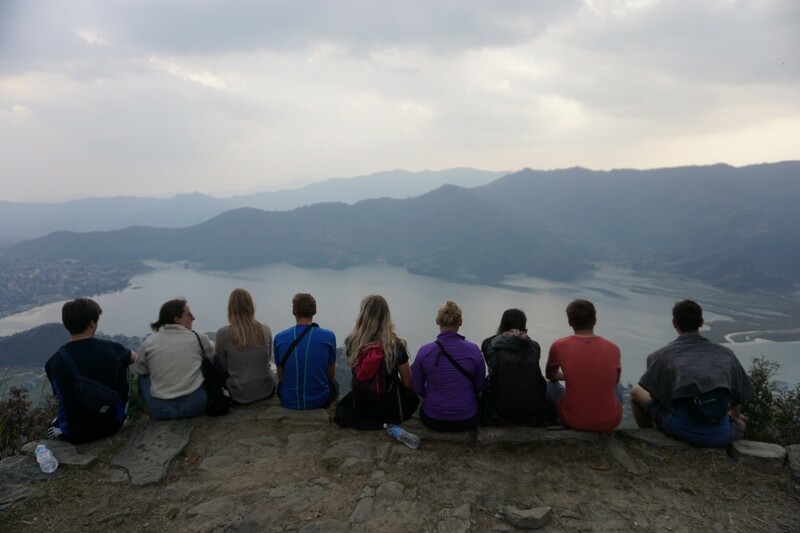 We had an awesome time and it gave a perfect view over Pokhara, the Fewa Lake, the Annapurna mountain range (a part of the Himalaya) and Sarangot (the mountain we hiked earlier). Each of us had a pilot with us that controlled everything so all we had to do was sitting still and enjoy the view and take pictures with the GoPro they provide for the flight. If you want to do paragliding as well, make sure to go on a day with a clear sky and little mist. 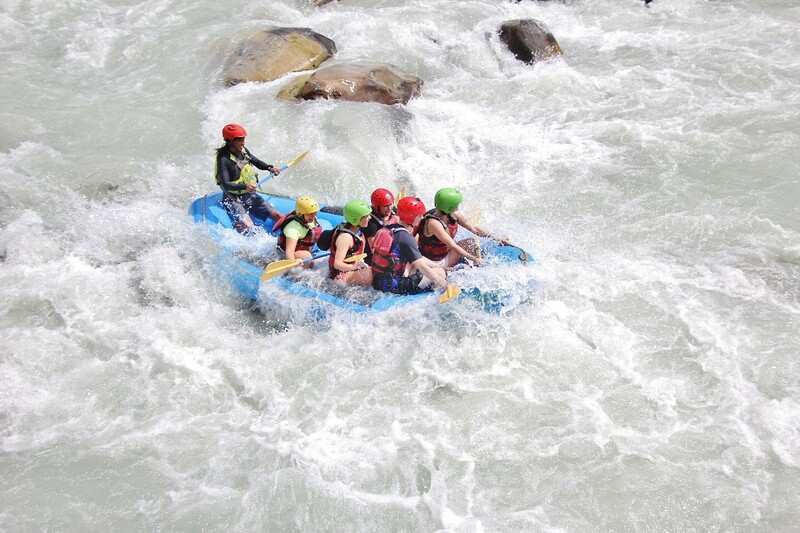 Rafting is perfect for the adventurous traveller who enjoys some action! 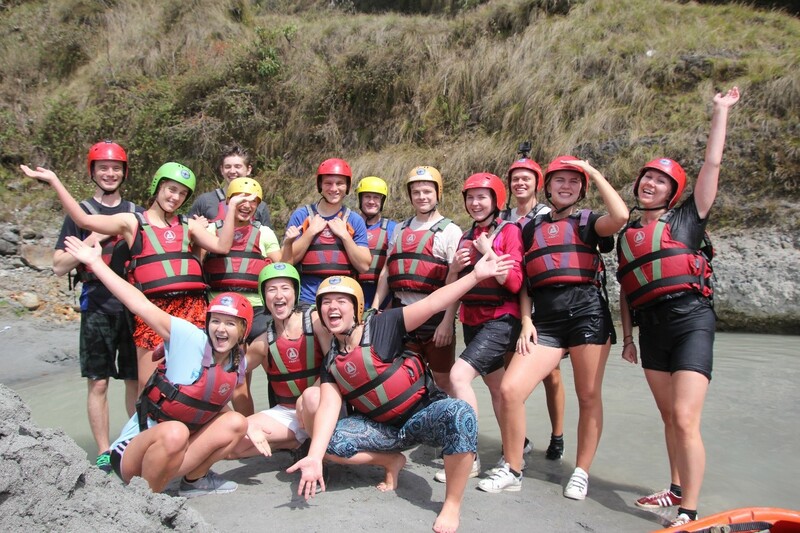 11 of the students in our class went rafting a Sunday morning and it was hilariously fun. We went during the dry season so the river was quite shallow, but most of us thought it was enough action regardless. We also stopped halfway and jumped from a small cliff and swam in the lake. Very very fun. We went with “Paddle Nepal” and payed 51 USD (ca. 440 NOK) for transport roundtrip to the river, all safety equipment, instructors and packed lunch for after the rafting. The instructors were very funny and had a simply great time together. 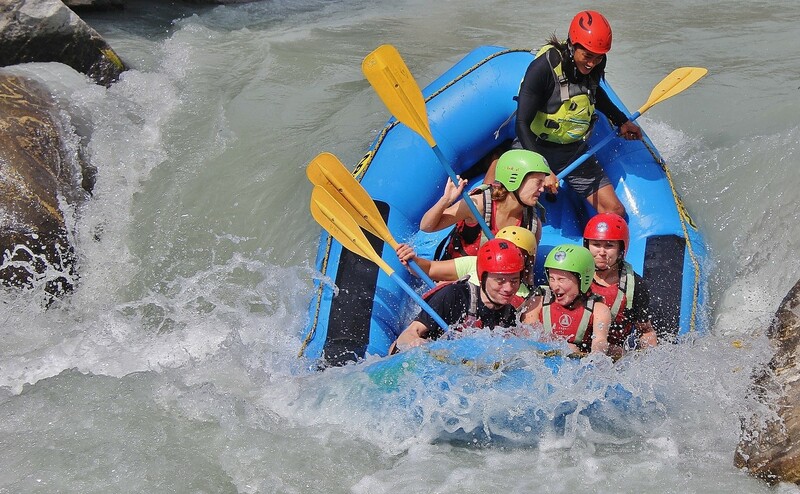 I highly recommend river rafting for those who want a real team building day!